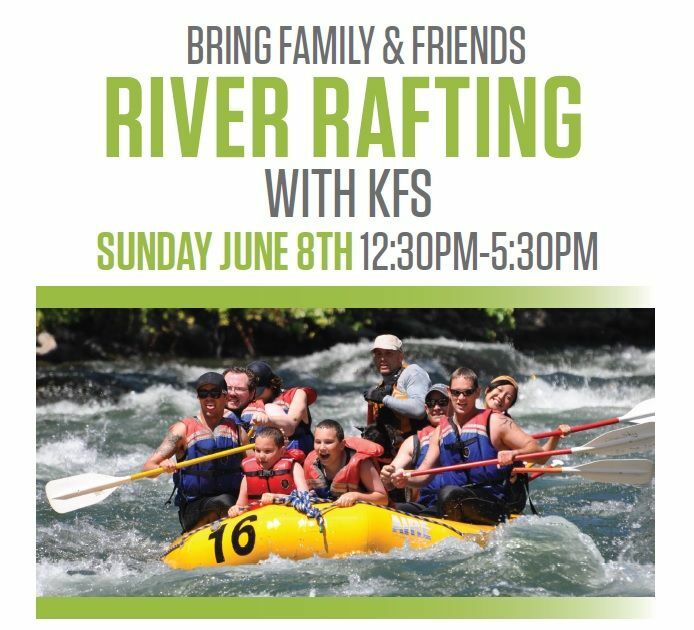 Join KFS For a Fun Day of River Rafting! Join us for an exciting day with Chilliwack River Rafting. The group will be divided into options for moderate, family or challenging trips. Visit chilliwackriverrafting.com for rafting trip details under “trips.” Package includes lunch, rafting trip & equipment (wetsuit, helmet and life jacket) and access to resort facilities including sauna, hot showers, and volleyball court. All you’ll need to bring with you is a bathing suit, a change of clothes for afterward and a pair of old runners or water shoes that can get wet and will stay on in the river (if you don’t have any, the good people at Chilliwack River Rafting will supply you with what you need). Carpooling is also available. Please invite your friends and family. This package is available to both KFS members and non-members. Reserve your spot at the front desk and call Chilliwack River Rafting at 1.800.410.7238 to purchase.